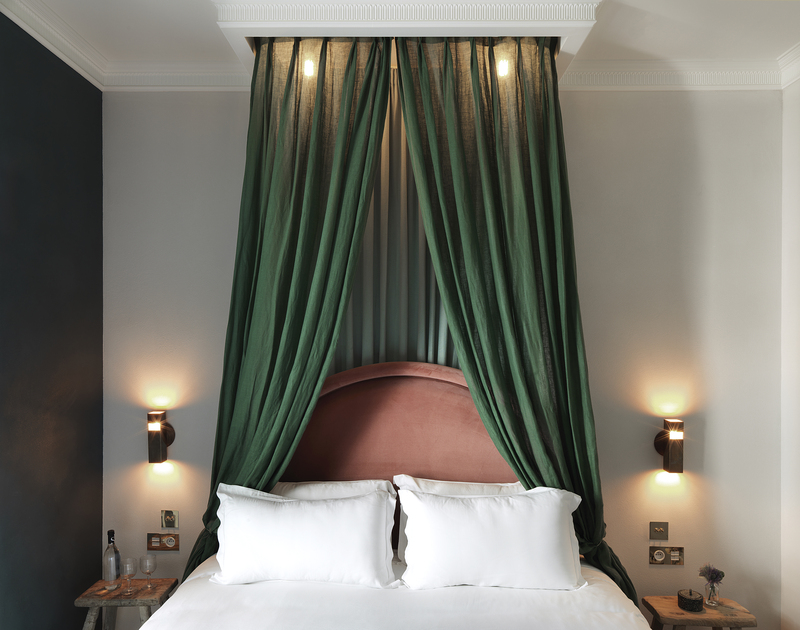 Hotel des Grands Boulevards Paris, the second Parisian hotel of the Experimental Group is due to open this December, three centuries after the Grands Boulevards were born during the swinging French Revolution of the 1700s. Hotel des Grands Boulevards has kept its soul while bringing the delights of modern comfort: espresso machine & organic coffee, complete silence for peaceful night’s sleep, the famous bed of the Grand Pigalle (the groups first Paris hotel), handmade in Brittany, enveloped in linen cotton and satin 300 thread count sheets, a power shower, amenity kit, a mirror that transforms into a TV! Hotel des Grands Boulevards is located in the heart of Paris tucked away from the busy streets outside, accessed by the hotels own secret passageway and a stone’s throw from Grands Boulevards metro station. For more information on the hotel, corporate rate opportunities and to book your stay click here.